The physician assistant (PA) profession began as an effort to simultaneously address two Vietnam War-era problems: 1) highly skilled combat medics returning home without a specific title or skill set readily translatable to a civilian career, and 2) a significant physician shortage during a high-casualty conflict. The PA concept that began in the late 1960s thus held great promise for its original students and the military, as well as a larger civilian population seeking advanced medical care. In 1967, the first class of PAs completed their training and were awarded certificates by Duke University. While all military services (Army, Navy, Air Force, and Coast Guard) have conducted PA training since 1971, the Army has trained and retains the largest number of PAs in the Department of Defense (DoD) throughout this time . Similarly, as the PA profession celebrated its 50th anniversary in 2017, historical reflection shows increasing depth and breadth of PA practice, both within and outside the Army. Army PA training provided an associate degree from Baylor University with its first graduation class in 1973 but was raised to a baccalaureate in 1983 through the University of Oklahoma . Commensurate with the high level of training, certification was elevated again in 2003, this time to a master’s degree through the University of Nebraska . Currently, the Interservice Physician Assistant Program (IPAP) consolidates all didactic PA training across DoD at JBSA-Fort Sam Houston, Texas, at the Army Medical Department Center & School Health Readiness Center of Excellence (AMEDDC&S HRCoE). While IPAP has been noted to be the largest PA training program in the world, the Army contributes by far the largest percentage of students . The Army also developed the Long Term Healthcare Education Training (LTHET) program, an initiative primarily aimed toward advanced training in emergency medicine, orthopedics, and surgery, which as of publication is one of only a few advanced PA training programs in the world to award a doctorate in science (DSc) upon completion. 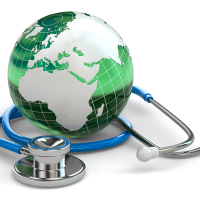 LTHET similarly offers advanced degrees for healthcare administration, education, epidemiology, and dietetics. 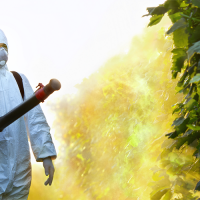 PAs have also increased contributions to medical research and investigative study. With the expansion of education and advanced practice opportunities in the Army, PAs have also been part of tremendous growth in both medical and overall force leadership. In 1973, PAs were appointed as warrant officers upon training completion, thus enabling them as specialists and advisors to commanders but unable to lead in command positions as commissioned officers. This changed when the US Army began to commission warrant officers in the 1980s and then again in 1992 when PAs began to segue into fully commissioned officers . Commissions enabled PAs to take commands and earn new levels of leadership. PAs notably began to serve as commanders and directors, and to lead medical units. PAs have held Battalion Command, taken charge of clinics, and, notably in 2017, were selected as head of the Army Medical Specialist Corps . 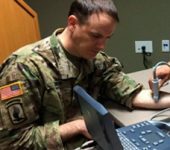 As the PA profession begins its 51st year, the first Borden US Army Physician Assistant Handbook was published in May 2018 and a cohort of senior leaders, both active duty and prior service, were interviewed for their personal reflections on the inception, growth, and importance of the Army PA position. Their answers provide significant insight into the roots and future of Army PAs in active service, and in transition to civilian medical practice. “But that was all. There was no clear progression beyond the Battalion, much like a pilot who flew the same helicopter until he retired as a CW4 or CW5,” continues MAJ(R) Gilpatrick, who currently works as lead advanced practicing clinician (APC) at Midtown Medical Center Pediatric Emergency Department, as well as serving as Tactical Medical Officer for the Columbus, Ga., Police Department SWAT Team. “A big challenge for us was that AMEDD (Army Medical Department) didn’t see us as potential leaders. Commissioning changed that. When we began staying beyond 20 years, we began getting promoted to Major and then Lieutenant Colonel, and were treated differently,” explains Colonel (Retired) Gross, an Army PA for more than 30 years. 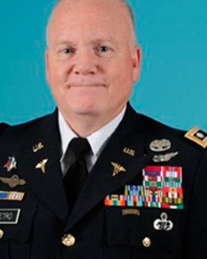 After 44 years of total Army service, COL(R) Gross retired after most recently serving as Installation Management Command (IMCOM) Surgeon at JBSA-Fort Sam Houston, Texas. She has deployed to Honduras, Iraq and Afghanistan, and was the first PA assigned to US Army Recruiting Command and first female PA Career Manager/Assignments Officer. 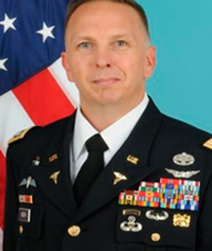 According to Colonel Robert Heath, a 30-year Army veteran with a 1989 combat parachute jump into Panama with the 75th Ranger Regiment, as well as deployments as a PA to Iraq and Afghanistan, and specialty training in orthopedics, “Army PAs then moved from a technical medical specialist to professional Army officers in the Profession of Arms.” COL Heath is currently serving as Director, Military Health System Governance, and Defense Health Agency (DHA) Liaison for the Army at the Office of the Surgeon General in Falls Church, Va.
“The pace at which our community has grown to accommodate the ever-changing demands of our warfighter environment throughout the past two decades has been astounding,” explains Major (Retired) Jonathan Monti, EMPA. MAJ(R) Monti has 17 years of service as an Army PA, including multiple deployments to Iraq and Afghanistan, with a combat parachute jump into Iraq in 2003. 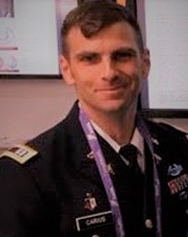 He is currently designing and conducting research involving combat medic use of ultrasound with the Henry M. Jackson Foundation for the Advancement of Military Medicine. His last position was Director of Madigan Army Medical Center’s Emergency Medicine PA Residency Program, where he was also named the inaugural Society of Emergency Medicine PAs (SEMPA) EMPA of the Year in 2017. “Traditionally we were bringing in people with combat medic experience. Now we are also bringing in others with varying experiences, such as leadership and non-medical backgrounds (Field Artillery, Engineers, Medical Service Corps are just a few examples),” explains Lieutenant Colonel (Promotable) Amy Jackson, an Army veteran for more than 25 years, Army PA for more than 13 years, including prior enlisted service and Medical Service Corps Officer. She is currently serving as Deputy Commander for Administration (DCA), Supreme Headquarters Allied Powers Europe (SHAPE) Clinic, Belgium. She has deployed to Iraq and Afghanistan, and was Human Resource Command 65D (PA) Assignment Officer, Director for Medical Services at the DiLorenzo Clinic at the Pentagon, and first Battalion Commander of the 188th Medical Battalion, JBSA-Fort Sam Houston, Texas. 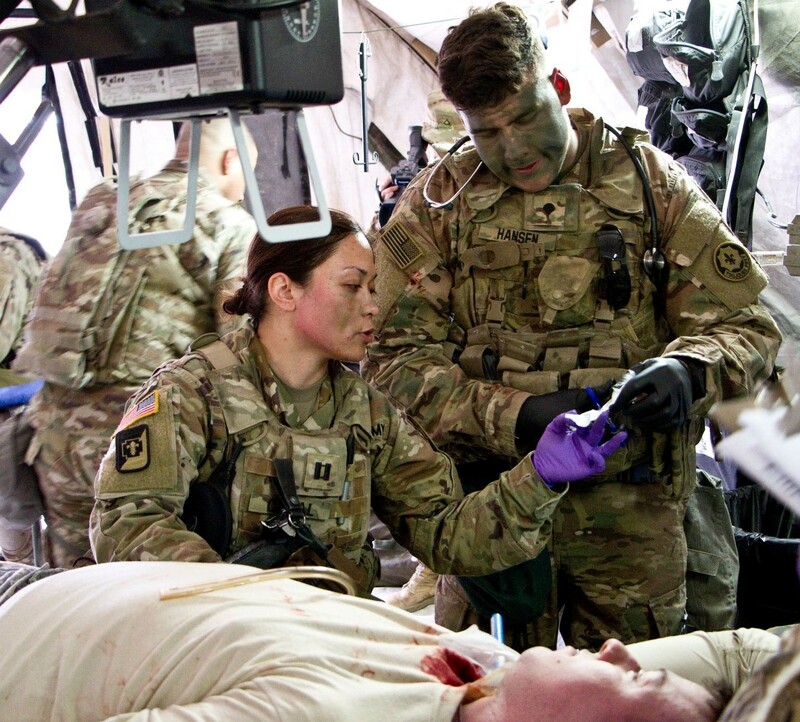 “Because of our two primary roles of providing direct primary and battlefield care, and training combat medics, we are now arguably the most vital and valuable medical MOS (Military Occupational Specialty) to our frontline warfighters in the provision of their healthcare,” says MAJ(R) Monti. “PAs with a military background possess a familiarity with soldiering (the daily tasks, physical requirements per MOS, etc.) that allows them to consider well how their medical management plans can best be implemented for an individual, within the constraints of a unit,” explains MAJ(R) Monti. “They don’t have to worry as much about learning to be in the Army,” comments COL Heath. Lieutenant Colonel (Promotable) John Detro, a 30-year Army veteran, who completed PA school in 1997 explains, “Both groups (prior enlisted and prior officer) bring strengths and weaknesses. We get the best of both worlds with those who have commissioned and enlisted time together. Prior commissioned and prior enlisted in a Battalion and Brigade make for a powerful combination.” LTC(P) Detro most recently served as the Army Surgeon General’s PA Consultant and as Commander, 187th Medical Battalion, JBSA-Fort Sam Houston, Texas, and is now Director of Talent Management at Human Resource Command, Fort Knox, Ky. He has deployed to Iraq and Afghanistan, and held numerous positions like Battalion PA for 3rd Battalion, 75th Ranger Regiment, Squadron PA with Joint Special Operations Command, and Chief, Surgical Services Service Line (3SL), Office of the Surgeon General. 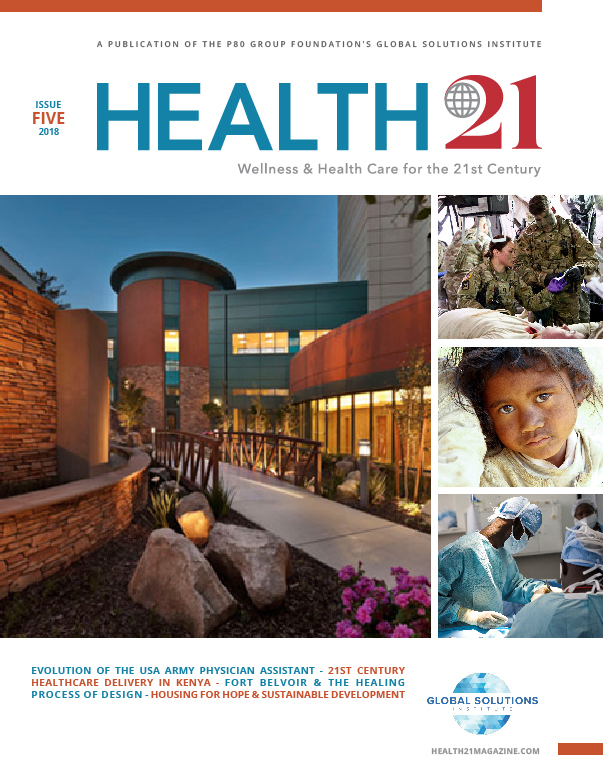 The majority of Army physicians are no longer primary care-based; their focus is on specialty care. We are deploying these specialists, who may better serve the Army, at home station or within Combat Support Hospitals. COL Heath says most physicians are PROFIS (Professional Filler System) and, therefore, they do not regularly interact with unit commands. By comparison, explains MAJ(R) Gilpatrick, “The PA, who’s with the battalion daily – training, treating and interacting with their Soldiers – will distinguish themselves more often as leader and mentor.” According to COL Heath, this helps earn the trust of the unit. “Walking the walk and talking the talk is what validates any provider with their unit,” says Colonel John Balser, a 30-year Army veteran with prior service as a combat medic. COL Balser is currently serving as Army Specialist Corps Chief and Military District Washington (MDW) Command Surgeon, JTHQ-NCR, Washington, DC. He completed PA school in 1990, and subsequently completed orthopedic specialty training in 1996. He has deployed to Iraq and Afghanistan, and held multiple positions, including Deputy Commander for Operations, Craig Joint Theater Hospital in Bagram, Afghanistan, and Command Surgeon, Army Reserve. According to MAJ(R) Monti, experienced PAs know well the potential that exists that either they, or their medics, could be the only healthcare provider available to a group of Soldiers in an austere location. And combat medics are the extensions of PAs. “In my current role as civilian lead PA in a busy Emergency Department, I precept and mentor PA students, NP students, medical students and family medicine residents. I also interact with local Army PA students at Ft. Benning, and the focus, work ethic and medical knowledge can’t be matched by any of the civilian students I precept. It’s truly a testament not only to the program but also to the general military Soldier mindset,” says MAJ(R) Gilpatrick. “I think what I see most is advanced training in new technology. Training in the use of ultrasound, telemedicine, electronic peripheral brains and references is what certainly brings more advanced and a higher level of medicine far forward,” comments MAJ(R) Gilpatrick. “The Army has a physician shortage in Emergency Medicine, Orthopedics, and General Surgery, which means there are fewer to deploy when and where needed. Having PAs with the above education would expand the capabilities of medical teams, provide oversight and training to deployed PAs and their medics, and free up MD specialists to take care of the most serious patients,” explains COL(R) Gross. MAJ(R) Gilpatrick believes the Army/Soldier experience a PA brings to the table makes them a natural for leadership roles. Heath concurs and explains that Army PAs are now serving as Commanders at the Battalion, Brigade, and Military Treatment Facility (MTF) levels. They additionally serve in MTF executive leadership positions (Deputy Commander, Deputy Commander for Administration, Deputy Commander for Clinical Services, etc.). Army PAs also serve in high-level Key Strategic Billets at the Army, DoD, Congressional, and interagency levels. “Delivering healthcare as an Army PA in all types of scenarios and locations across the globe has instilled a level of confidence that I can deliver quality healthcare anywhere regardless of the conditions,” explains COL Heath. 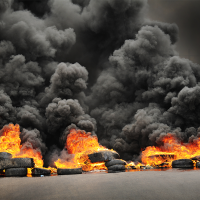 “I owe my success and have saved lives with my military experience in the civilian setting. I am an effective leader and communicator because of the Army. The years of being deployed and suffering through JRTC (Joint Readiness Training Center, Fort Polk, La.) and NTC (National Training Center, Fort Irwin, Calif.) rotations, having to scrounge supplies, having to McGyver medical equipment and procedures, relying on stethoscopes and BP cuffs, examining Soldiers with a headlamp, resuscitating in a truck or a helicopter, knowing the person you worked on who is critically wounded or has died, have certainly enabled me to practice better medicine in a warm, clean and well-stocked ER,” explains MAJ(R) Gilpatrick. The original concept for the first Army PA Handbook came from LTC(P) Jackson. In 2009 while serving as a battalion PA with the 101st Airborne Division as a newly promoted major, she recognized her own knowledge gap, unsure of what a PA career path entailed after completing battalion PA time. As a previous Medical Service Corps officer, she had many mentors and leaders who helped her find and understand the path she would take as a medical logistician. From this experience, LTC(P) Jackson came to believe that leadership, mentors, and information sharing are vital to the success of Army PAs. In 2013, LTC(P) Jackson contacted the Borden Institute (BI) about publishing a handbook for PAs. Established in 1987, BI fosters and promotes excellence in military academic medicine through development and publication of military medical scholarship, and is currently located at Ft. Sam Houston, Texas. LTC(P) Jackson initially spoke with 20 of her fellow senior PA colleagues and identified key PA roles, accomplishments, and highlights of Army PA history – areas she believed were important to Army PA professional development. As the project progressed, she collaborated with LTC Amelia Duran-Stanton, who was then Deputy Chief of Inspections at MEDCOM IG (US Army Medical Command Inspector General). LTC Duran-Stanton became senior co-editor, and together, she and LTC(P) Jackson reviewed and refined input received from dozens of Army PAs. “The PA profession started with the military, and we continue to provide new and exciting avenues to advance. The future is still unwritten, and I am proud to be a part of such a dynamic group of individuals,” says COL Balser. 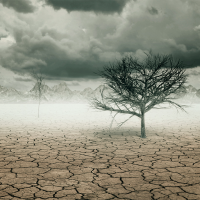 “I am encouraged and proud as I look at all the ways PAs are contributing and serving. It is vastly different than what it was just 10 years ago. I foresee continued advancements as I believe AMEDD and Army leaders alike are recognizing our talent and our skill as desirable attributes, which will bring quality and excellence in clinical and non-clinical roles alike,” concludes LTC(P) Jackson. Colonel John Balser is a 30-year Army veteran with prior service as a combat medic. He is currently serving as Army Specialist Corps Chief and Military District Washington (MDW) Command Surgeon, JTHQ-NCR, Washington, DC. He completed PA school in 1990 and subsequently completed orthopedic specialty training in 1996. COL Balser has deployed to Iraq and Afghanistan, and held multiple positions, such as Deputy Commander for Operations, Craig Joint Theater Hospital in Bagram, Afghanistan, and Command Surgeon, Army Reserve. Lieutenant Colonel (Promotable) John Detro is an Army veteran with more than 30 years of service, having completed PA school in 1997. 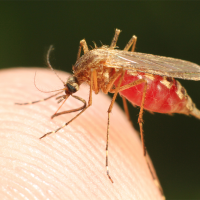 He currently serves as the Surgeon General’s PA Consultant and most recently served as Commander, 187th Medical Battalion, JBSA-Fort Sam Houston, Texas. LTC(P) Detro has deployed to Iraq and Afghanistan, and held multiple positions, including Battalion PA for 3rd Battalion, 75th Ranger Regiment, Squadron PA with Joint Special Operations Command, and Chief, Surgical Services Service Line (3SL), Office of the Surgeon General. Major (Retired) Scott Gilpatrick is a retired Army veteran with 25 years of service. He is currently living in Columbus, Ga., working as lead advanced practicing clinician (APC) at the Midtown Medical Center Pediatric Emergency Department and serves as Tactical Medical Officer for the Columbus, Ga., Police Department SWAT Team. His deployment experience includes Panama, Haiti, Afghanistan and Iraq, including positions as US Special Operations Command (USSOCOM) PA and Regimental PA for the 75th Ranger Regiment, and 160th Special Operations Aviation Regiment (SOAR). Colonel (Retired) Pauline Gross served as an Army PA for more than 30 years, completing PA school in 1984. After 44 years of total Army service, COL(R) Gross retired after most recently serving as Installation Management Command (IMCOM) Surgeon at JBSA-Fort Sam Houston, Texas. 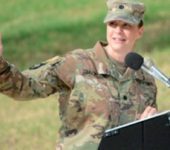 She has deployed to Honduras, Iraq and Afghanistan, and held multiple positions, such as the first PA assigned to United States Army Recruiting Command and the first female PA Career Manager/Assignments Officer. 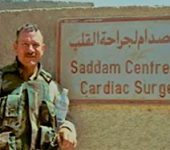 Colonel Robert Heath is a 30-year Army veteran that includes a combat parachute jump into Panama with the 75th Ranger Regiment in 1989, deployments as a PA to Iraq and Afghanistan, and specialty training in orthopedics. He is currently serving as Director, Military Health System Governance, and Defense Health Agency (DHA) Liaison for the Army at the Office of the Surgeon General in Falls Church, Va. Lieutenant Colonel (Promotable) Amy Jackson is an Army veteran with more than 25 years of service – Army PA for more than 13 years, including prior enlisted service and Medical Service Corps Officer. She is currently serving as Deputy Commander for Administration (DCA), Supreme Headquarters Allied Powers Europe (SHAPE) Clinic, Belgium. LTC(P) Jackson has deployed to Iraq and Afghanistan, and held positions like Human Resource Command 65D (PA) Assignment Officer, Director for Medical Services at DiLorenzo Clinic at the Pentagon, and first Battalion Commander of the 188th Medical Battalion, JBSA-Fort Sam Houston, Texas. 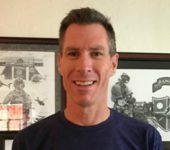 Major (Retired) Jonathan Monti, EMPA, is a retired Army veteran with 17 years of service as an Army PA, including multiple deployments to Iraq and Afghanistan, with a combat parachute jump into Iraq in 2003. MAJ (Ret.) Monti is currently designing and conducting research involving combat medic use of ultrasound with the Henry M. Jackson Foundation for the Advancement of Military Medicine. His last position was as Director of Madigan Army Medical Center’s Emergency Medicine PA Residency Program, where he was named the inaugural Society of Emergency Medicine PA (SEMPA) EMPA of the Year in 2017. Disclaimer: Authors and interviewees’ views do not reflect the official policy of the Department of Army, Department of Defense, or the US Government. Chalupa RL, Marble WS. A history of US Army PAs. JAAPA. 2017;30(11):39-43. doi: 10.1097/01.JAA.0000525910.74978.89. Morss DF. Some Considerations in the Development of Physicians’ Assistant Program in the US Army [thesis]. Carlisle Barracks, PA: Army War College; 1971. Colver JE, Blessing D, Hinojosa J. Military physician assistants; their background and education. J Physician Assist Educ. 2007:40-45. Physician Assistant History Society. (2017). Balser, John – Physician Assistant History Society. [online] Available at: https://pahx.org/assistants/balser-john/ [Accessed 1 Dec, 2017]. The article was fantastic and it made me proud to be both an ex Combat Medic in Vietnam (70-71) and PA graduate from the University of Florida School of Medicine. Proud of all the progress the PA field has developped with the armed forces. CPT Brandon M. Carius, is an Army veteran with nine years of service, three years as a PA. He is currently in the Army LTHET Emergency Medicine PA program at Brooke Army Medical Center, JBSA-Fort Sam Houston, Texas. CPT Carius is a former Army Infantry Officer with a prior deployment to Afghanistan. His last assignment was as Battalion Physician Assistant for 1-5 Field Artillery, 1st ABCT, 1st Infantry Division at Fort Riley, Kansas. He can be reached at brandon.m.carius.mil@mail.mil. 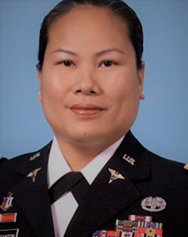 LTC Amelia M. Duran-Stanton, is an Army veteran with more than 26 years of service, which includes eight years enlisted and 18 years as a PA. She is currently serving as Chief of the Ready and Resilient Integration Branch and Deputy Command Surgeon for the Installation Management Command JBSA-Fort Sam Houston, Texas. She has deployed to Kosovo, Iraq and Afghanistan. LTC Duran-Stanton holds a PhD in Adult Education and a Doctor of Science in Clinical Orthopedics. 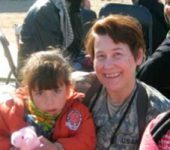 She has held positions as OIC of the Fort Bragg Medical Simulation Training Center, IPAP Clinical Coordinator, and as an Inspector General. LTC Duran-Stanton was previously Deputy Chief of the Thermal and Mountain Medicine Division at the United States Army Research Institute of Environmental Medicine (USARIEM), Natick, Massachusetts. She can be reached at amelia.m.duranstanton.mil@mail.mil.